Your divorce case is over, whether by the hand of a judge making decisions for you, or by the consent of both parties, who have voluntarily and possibly amicably agreed to the terms of the divorce, including timesharing and parenting. The first time your child (or children) get sick post-divorce, you may be wondering which parent has the right to make medical decisions for the child. The answer may be more complex than you may think. As should be obvious, when it comes to emergencies, any parent that is with the child when a medical emergency arises has the right (and obligation) to get appropriate medical care. Neither parent needs to call the other and discuss whether an ambulance should be called or whether a child should be taken to the ER. However, there are a number of medical treatment decisions that must be made that are not emergencies (or which could become emergencies if treatment is not rendered relatively quickly). You might assume that if you are the one with timesharing with the child when the treatment is needed, you can make those decisions on your own. Or you may assume that if you are the parent with the majority of timesharing with the child (i.e., the majority of overnights), you automatically can make those medical decisions on your own. If you only have, say, 30% of overnights with the child, that does not deprive you of the right to join in making important life decisions, such as medical decisions, although other decisions, such as with education and religion can also apply. Likewise if you are the parent with 70% of overnights with the child, you should not assume that you can make decisions unilaterally either. Just be aware that in the event there is no final authority to either parent given, the only other resort to breaking an impasse between parents will be asking a court to decide. This can be a drawn out process (not great if medical care is necessary), and the court will make the decision based on what is in the best interests of the child. 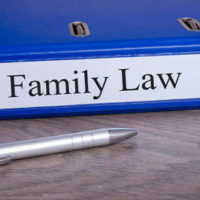 Our Tampa family law attorneys at the Pawlowski//Mastrilli Law Group can help you with your custody and timesharing questions and assist you in your divorce.